Black and white image . 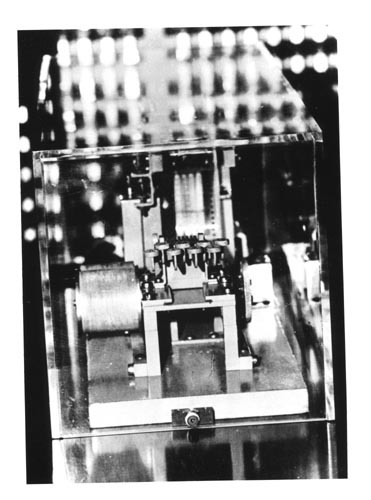 This image is of part of a Zuse computer. It shows two some keys in the center with film in rear.